A handcrafted mural or art glass piece in your establishment makes a statement about you and your love of the arts. 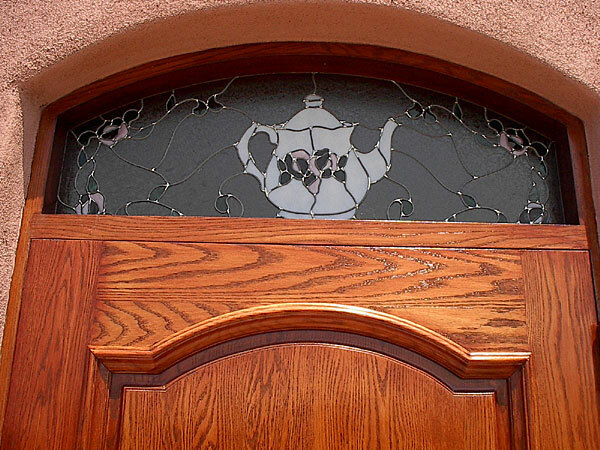 Please call so we may show you reference pieces installed in and around Tucson and talk about ways to enhance your environment with glass. Glass mosaics can be the perfect medium for creating effective signage for your business. 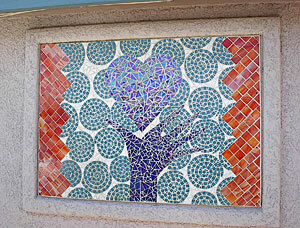 Here, Ochoa Stained Glass Artists and Apprentices created the sign that adorns the western building faï¿½ade of the Ochoa Stained Glass Studio and Gallery. 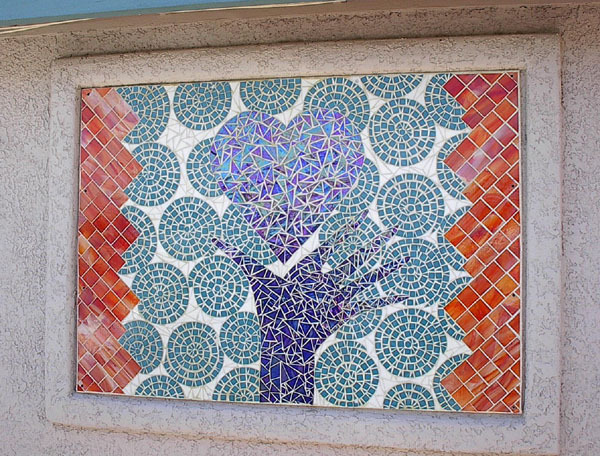 A stunning glass mosaic corporate logo commissioned for the La Casita Assisted Living Center in Tucson. 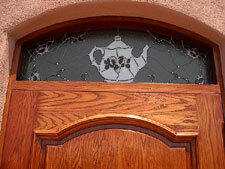 A teapot is the focal point of the stained glass logo sign created by Ochoa Stained Glass Artisans for the entryway transom for the Chantilly Tea Room and Gift Shop in Tucson's Northwest Foothills area.